This is the most excited I've been to show you my nails, and with good reason; they show my favourite ever TV show. Unless you've been living under a rock (or just don't care) you'll know that series 8 of Doctor Who started on Saturday night. To say I was looking forward to it would be a HUGE understatement. To mark the occasion I decided to paint my nails Doctor Who themed. The blue I used is First Mate by China Glaze, it's the perfect T.A.R.D.I.S. blue, and with a matte top coat is spot on for the famous police box. 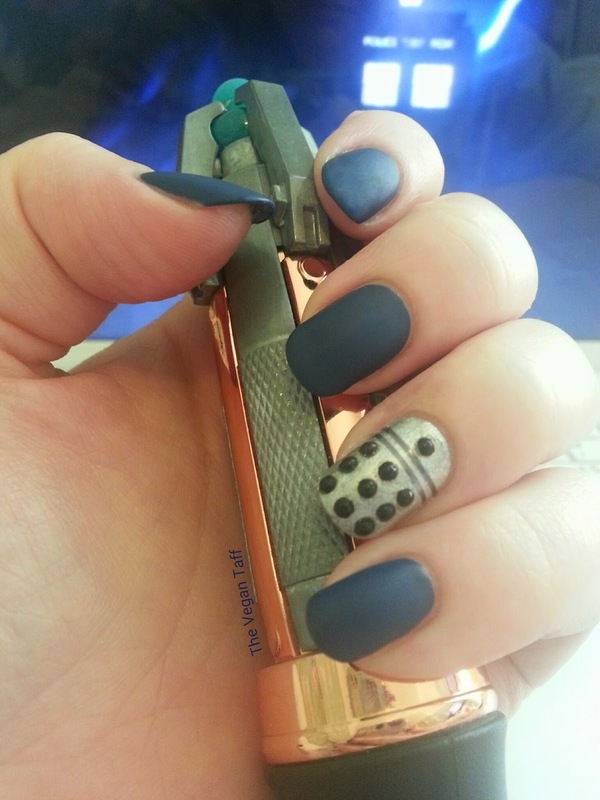 To create a Dalek on my ring finger I used a silver foil polish (Silver Mirror by W7) and applied a coat of Seche Vite to speed up drying time. Next I applied two strips of dark grey nail tape to make the 'neck' of the Dalek. 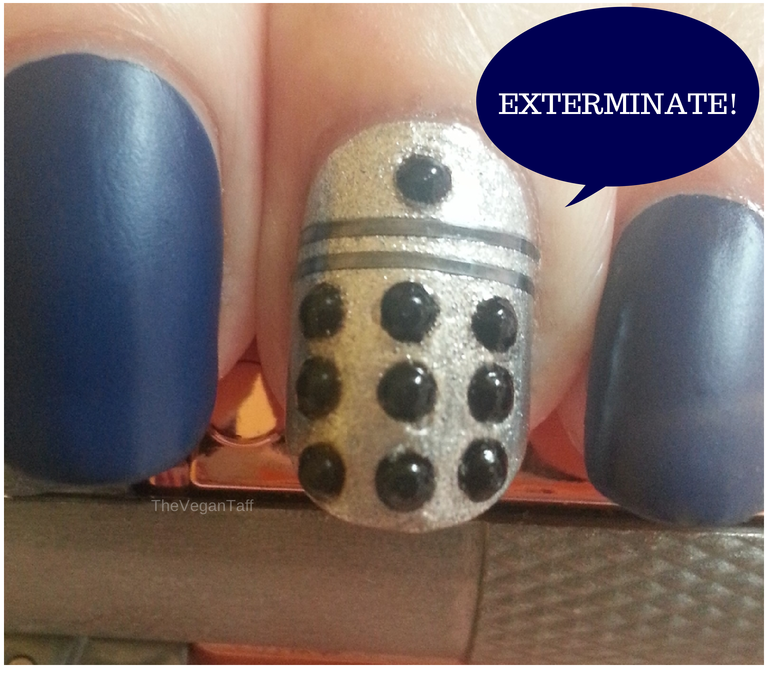 I then used my top coat to stick 9 black nail gems to replicate the Dalek's 'body' and 1 for the 'eye', after they were secure I finished it off with another coat of Seche Vite to make sure the gems stayed in place. Of course I had to show off my sonic screwdriver, the one I have is a TV/Blu Ray/TiVo remote control. I absolutely love how this mani turned out! What do you think of these nails? Did you/do you watch Doctor Who?